There are a number of everyday strategies that can aid in type 2 diabetes prevention, while also enhancing your overall health. By focusing on diabetes prevention, you can protect yourself against a number of diabetes-related health problems (including heart disease and stroke). Certain ethnic groups (such as African-Americans, Hispanic Americans, Asian Americans, and Native Americans) also have a higher risk for diabetes. While it's impossible to control risk factors like age and family history, other diabetes risk factors can be managed by making changes to your health routine. Sizing up data on 83,770 women, the authors of a 2006 study determined that a combined daily intake of over 800 IU of vitamin D and over 1,200 mg of calcium was associated with a 33 percent lower risk of type 2 diabetes (compared with a combined daily intake of less than 400 IU vitamin D and less than 600 mg calcium). Since it can be challenging to get your fill of vitamin D solely through food sources and sunlight exposure, many medical experts recommend boosting your vitamin D levels by taking a daily supplement. Talk to your doctor before starting any supplements. 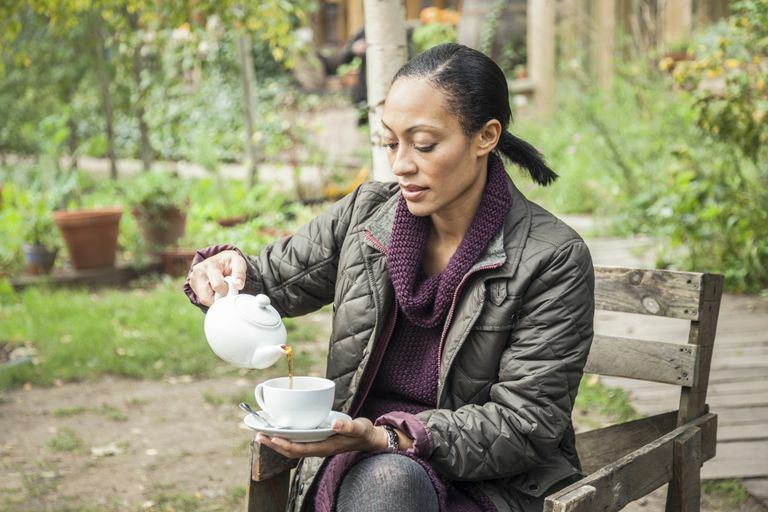 In a 2009 meta-analysis of nine studies with a total of 324,141 participants, scientists discovered that drinking more than four cups of tea daily may reduce the risk of type 2 diabetes. Other research indicates that green tea might help prevent diabetes, while black tea may aid in diabetes management. Regular consumption of cinnamon could reduce risk factors associated with diabetes and cardiovascular disease, according to a small study published in 2009. The study, which involved 22 people with impaired fasting blood glucose, examined the effects of 12 weeks of daily treatment with a cinnamon supplement. Previous research suggests that regular intake of cinnamon may help reduce levels of fasting blood glucose, triglycerides, LDL ("bad") cholesterol, and total cholesterol. What's more, short-term diabetes complications (such as hyperglycemia and hypoglycemia) can result in serious adverse events like seizures and coma. It's also important to watch out for diabetes symptoms (such as persistent fatigue, thirst, weight loss, blurred vision, and frequent urination) and get your blood glucose tested at least every three years (starting at age 45, or younger if you're at an increased risk for diabetes). Due to the limited research, it's too soon to recommend alternative medicine for diabetes prevention. If you're considering using it, talk to your doctor to weigh the potential risks and benefits. Keep in mind that alternative medicine should not be used as a substitute for standard care or preventative measures. Self-treating a condition and avoiding or delaying standard care may have serious consequences. Chen H, Qu Z, Fu L, Dong P, Zhang X. "Physicochemical properties and antioxidant capacity of 3 polysaccharides from green tea, oolong tea, and black tea." J Food Sci. 2009 74(6): C469-74. Iso H, Date C, Wakai K, Fukui M, Tamakoshi A; JACC Study Group. "The relationship between green tea and total caffeine intake and risk for self-reported type 2 diabetes among Japanese adults." Ann Intern Med. 2006 18;144(8):554-62. Jing Y, Han G, Hu Y, Bi Y, Li L, Zhu D. "Tea consumption and risk of type 2 diabetes: a meta-analysis of cohort studies." J Gen Intern Med. 2009 24(5):557-62. Pittas AG, Dawson-Hughes B, Li T, Van Dam RM, Willett WC, Manson JE, Hu FB. "Vitamin D and calcium intake in relation to type 2 diabetes in women." Diabetes Care. 2006 29(3):650-6. Roussel AM, Hininger I, Benaraba R, Ziegenfuss TN, Anderson RA. "Antioxidant effects of a cinnamon extract in people with impaired fasting glucose that are overweight or obese." J Am Coll Nutr. 2009 28(1):16-21.